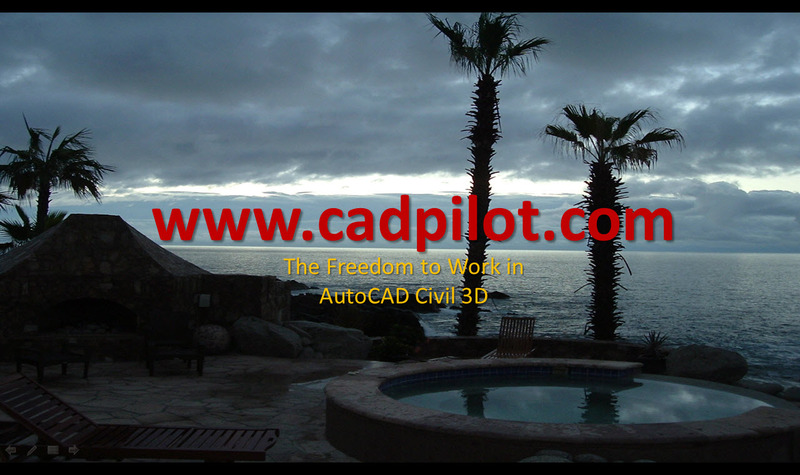 The concept of a Managed Dynamic Model is important in AutoCAD Civil 3D. The Civil 3D Dynamic Model (lots of civil engineering and survey data all interconnected and related to one another) is very useful and pretty cool. By now we’ve learned that the Dynamic Model can become a bit of a horror if we don’t manage it. Civil 3D doesn’t demand you employ projects and C3D certainly doesn’t care how yours are organized, but if you want to get work done productively you’d better employ a form of project. The Separation of Powers is important. See the Data Shortcuts and Data References training videos for the in-depth skinny on project structures in Civil 3D and the very practical matters of How to make them work. Let’s face facts. We must publish our work in this amazing and sometimes frustrating Civil 3D Dynamic Model. It is apparent that we have to build deliverable publication into how we approach production work in Civil 3D from the get go. We have to work at it and keep getting better at the process too. Maybe we should consider training people in Civil 3D from that perspective as well. Training content based on Deliverable production is a challenge. The Civil 3D diva has a lot of moving and interconnected parts. There’s a lot to know. This can be overwhelming. In my experience, the people who use this software are pretty darn smart. Simply put, any Civil 3D deliverable production process is very instructive about Civil 3D mechanics and the useful Civil 3D power tools of many Civil 3D Features.. Recently, I posted a preview video of Better Deliverables in Civil 3D. The Deliverable End Game if you will. This featured both AutoCAD and Microstation (gasp) editable output from a Civil 3D Dynamic Model and a project structure as mentioned above. Watch it here. Yes. We employ the tools and resources available in the Production Solution products for AutoCAD Civil 3D 2016 and AutoCAD Civil 3D 2015. Those resources even include the training dataset used in the videos. What do we need to get ‘er done? The next Deliverables training video on the topic of Managed Deliverables in AutoCAD Civil 3D is now available in the Members section. Become a member. It's free. Here’s the preview of what Managed Deliverables are all about in AutoCAD Civil 3D. P.S. The link above points to an infamous post on how we must think about change and learning.